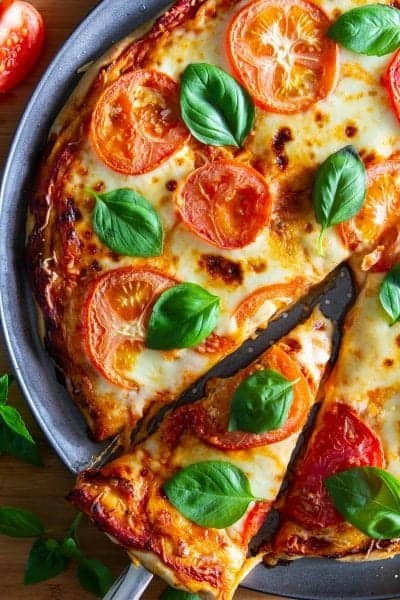 This Margherita Pizza Recipe is an ideal homemade gourmet pizza that is full of delicious tomato, basil, and cheesy goodness but simple to prepare for even a novice cook. If your family likes homemade pizza, then you must try our Chicken Pesto Pizza as well for an easy and delicious meal. This recipe was originally posted July 8, 2016, we’ve tweaked it a bit since then. This post may contain affiliate links. Read my disclosure policy here. As I mentioned in my previous blog post, pizza dough tastes so much better when it’s homemade. 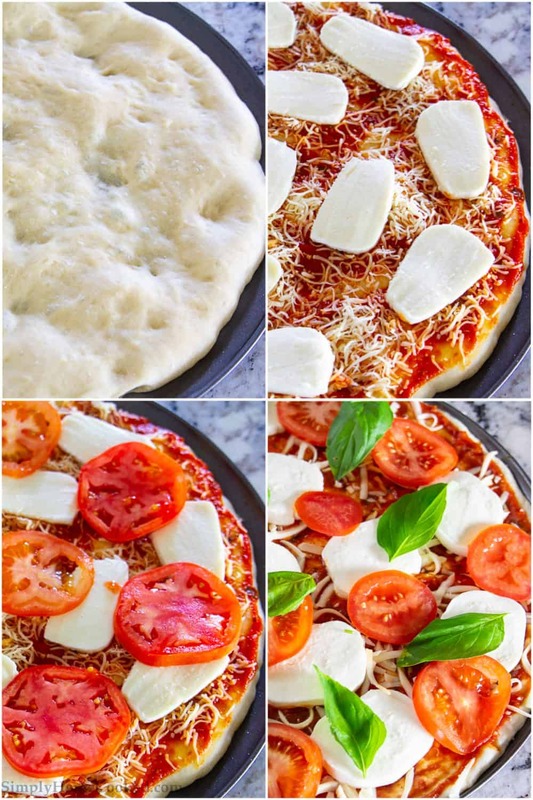 Margherita pizza is a classic combination of tomatoes, mozzarella, and basil. If you already made the dough in advance and froze it, this would be a great dinner for a busy weeknight. All ingredients can be found at your local Fred Meyer Store. Prepare the homemade pizza dough as shown in the recipe linked above. You can also use a ready-made dough if you prefer. Once the dough is ready and spread on a pizza pan, you will prepare to top it with sauce, cheese, and basil. Bake to desired doneness and serve. Italian is such a comforting cuisine. Full of rich robust garlic and fresh herbs with the gooey cheese toppings means you will never find yourself lacking in flavor. Our unique spin on the Chicken Lasagna Recipe is a great addition to your recipe collection, but don’t forget about this Potato Gnocchi Recipe with Parmesan Sauce and Proscuitto for a creamy and savory dinner. Spread the dough onto a pizza pan and poke it generously with a fork. Bake the dough at 425 degrees Fahrenheit for 5 minutes. 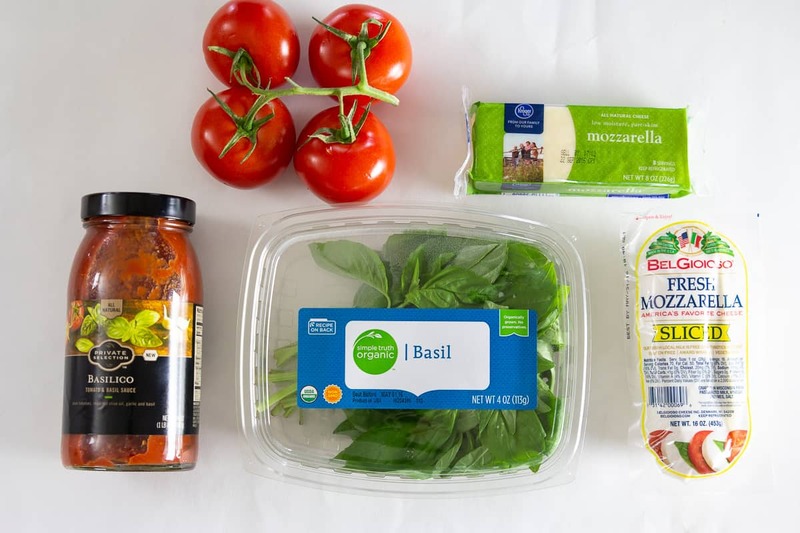 Spread the tomato basil sauce and sprinkle the shredded mozzarella on top of the partially cooked dough. Add a layer of the sliced mozzarella and tomatoes. Bake at 450 degrees Fahrenheit for 20-25 minutes. Add the basil leaves after removing the pizza from the oven or add it in the last few minutes of baking.